Iran’s MPs, using threats from the US Congress to impose new sanctions on Tehran, have responded with their own posture: if the interim nuclear deal stalls, the Islamic Republic will increase enrichment of uranium to “60%”. About 100 of the 290 members of the Majlis have introduced a bill mandating the Government raise enrichment from its current high-point of 20% if the 5+1 Powers, which includes the US, do not fulfil the agreement reached in Geneva on November 24. Earlier this month, some US Senators tried to put a provision into legislation which have required the Obama Administration to extend sanctions on Iran if Tehran did not adhere to the terms of the interim deal. In the end, the effort was suspended amid Administration objections. 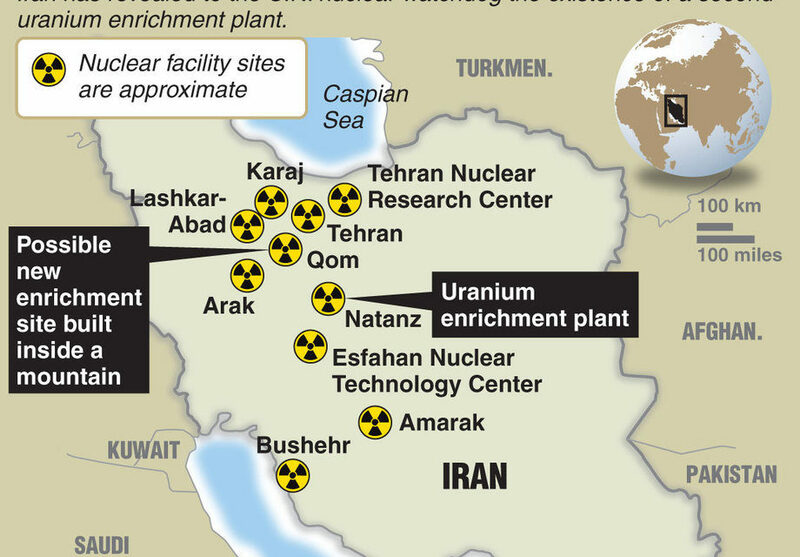 Under the November 24 agreement, which lasts for six months with a view to a comprehensive settlement, Iran will suspend enrichment of 20% uranium in return for a start to the easing of sanctions. The posture by the Iranian MPs is a technical non-sense. The current level of 20% enrichment is sufficient to meet civilian needs such as medical isotopes, while military applications require uranium enriched to more than 90%. One legislator said the 60% would provide uranium for nuclear-power submarines — which Iran does not have. Nevertheless, the pose brought headlines in both the Iranian and international media and will be seen as hard-line pressure on the Rouhani Government to take a tougher line over — or even step back from — the interim agreement. The Supreme Leader’s website has declared that protests after the disputed 2009 Presidential election are a “great sin” which is “unforgivable”. In the background is a photograph of more than 100 politicians, journalists, rights activists, and clerics who were prosecuted in a show trial in Iran in August 2009. The head of the Association of Iranian Journalists has announced that it will soon resume activities. Badrolsadat Mofidi said she met with the Culture Minister Ali Jannati, as well as the Labour Minister last Saturday. She said both assured her that they and the Intelligence Minister favored re-opening the Association. The Association, founded in September 1997, was shut down a month after the disputed 2009 Presidential election. NextIraq: US Drones to Help Al-Maliki Government?